21st Century Marble & Granite, Inc. in Pensacola, FL is a marble and granite product retailer. 21st Century Marble & Granite Inc is a locally owned and operated cultured marble and granite company. Started back in 1952, with only 1 change in ownership, we pride ourselves on being the only cultured marble and granite company in Pensacola. Feel free to give us a call with questions, concerns or to set up an appointment for a free estimate! 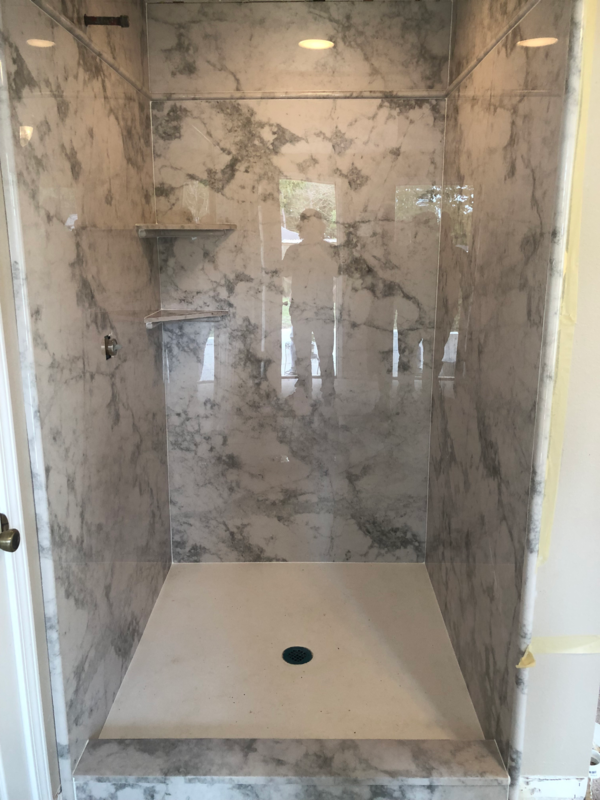 21st Century Marble & Granite offers cultured marble and granite products such as shower stalls, tubs, countertops, and vanity tops in a variety of colors and patterns to suit your unique preferences. We manufacture these products at our shop and perfect them onsite to ensure that the finished product is exactly what you are looking for! Cultured marble and granite is the clear choice above tile, acrylic and other more expensive and hard to maintain options. We have Worker's Compensation on all our employees for peace of mind guarantee. We gladly accept all major credit cards, cash and checks. Typically, a 50% deposit is required upon acceptance of estimate. Contact us for details on terms and conditions plus payment options!